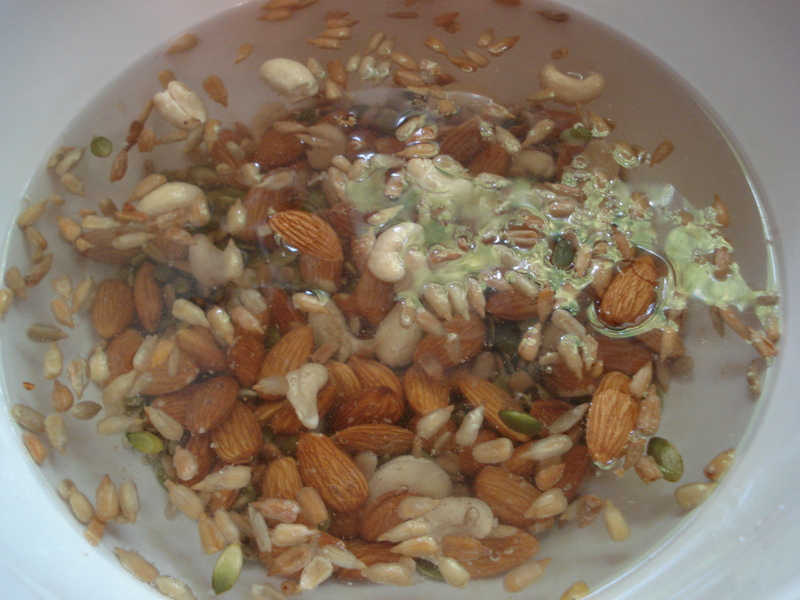 The leftover meal from soaking, blending, and straining my nuts and seeds to get my milk. 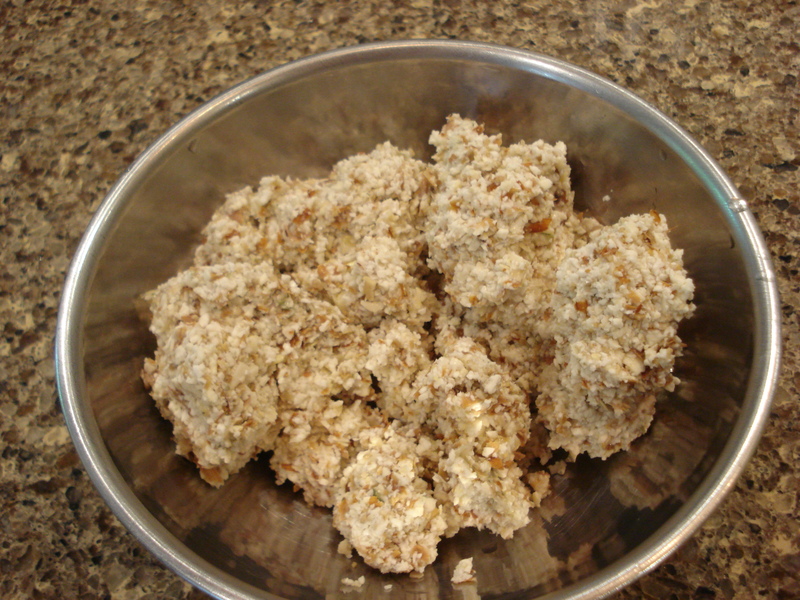 Because I didn’t want to waste it, I started googling “what to do with almond meal.” Turns out, there is an entire website devoted to the stuff! 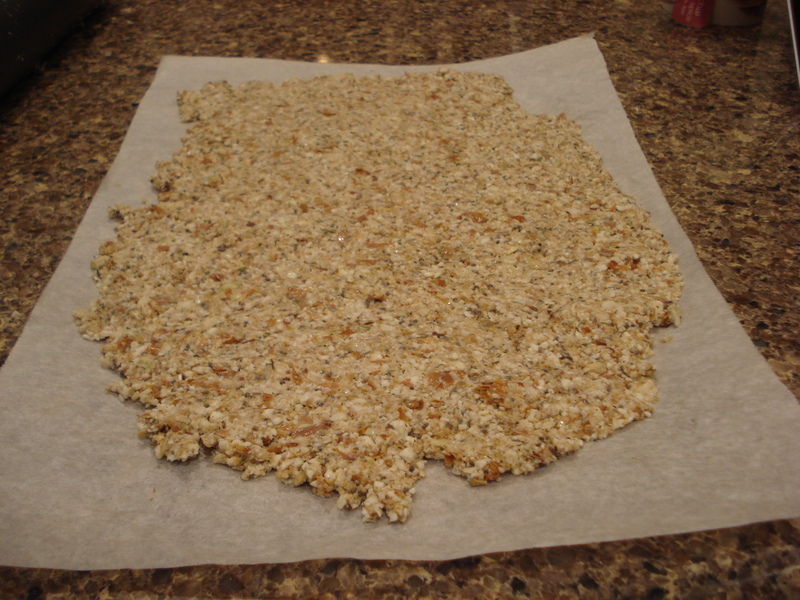 I found this recipe there, and wanted to modify it because it calls for a dehydrator and doesn’t use many spices. 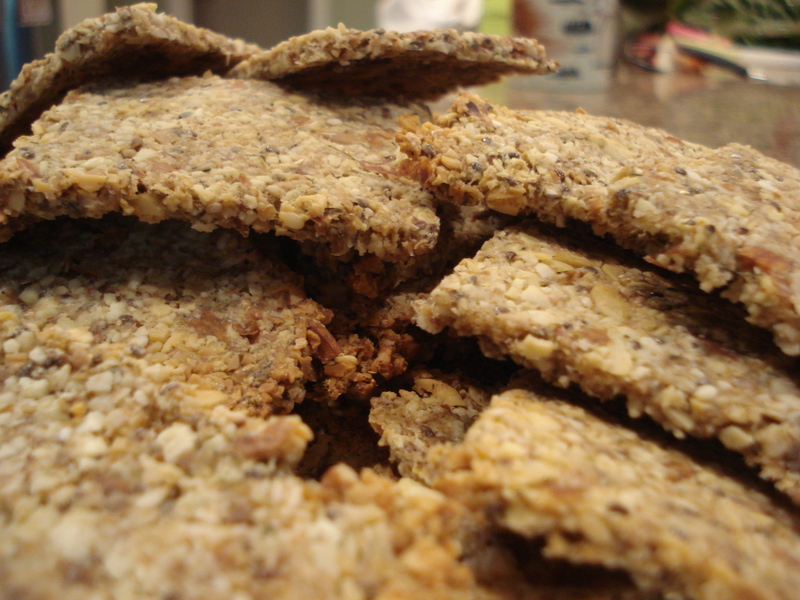 I knew that Angela over at Oh She Glows had some recipes for crackers, so I looked at this one and this one before coming up with the recipe below! 1. Combine everything except the olive oil and the water, mix well. 2. 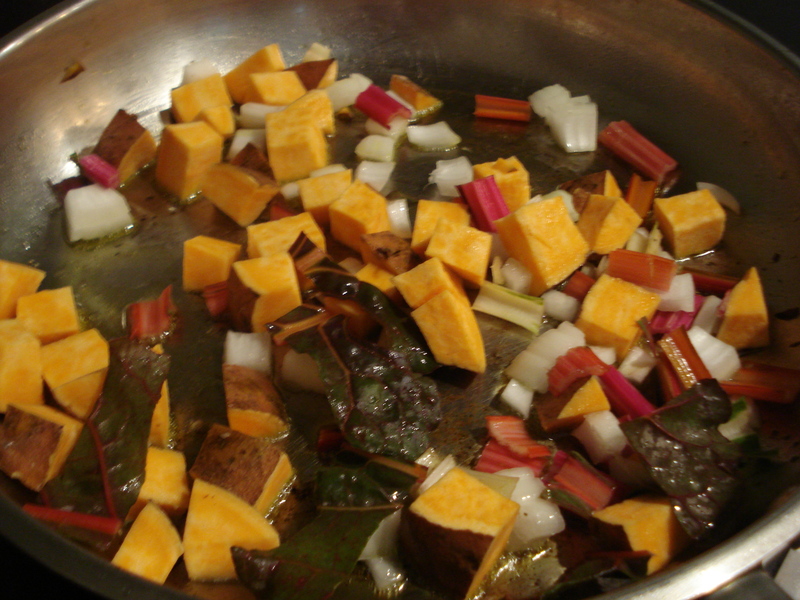 Add olive oil and water, stir to combine. 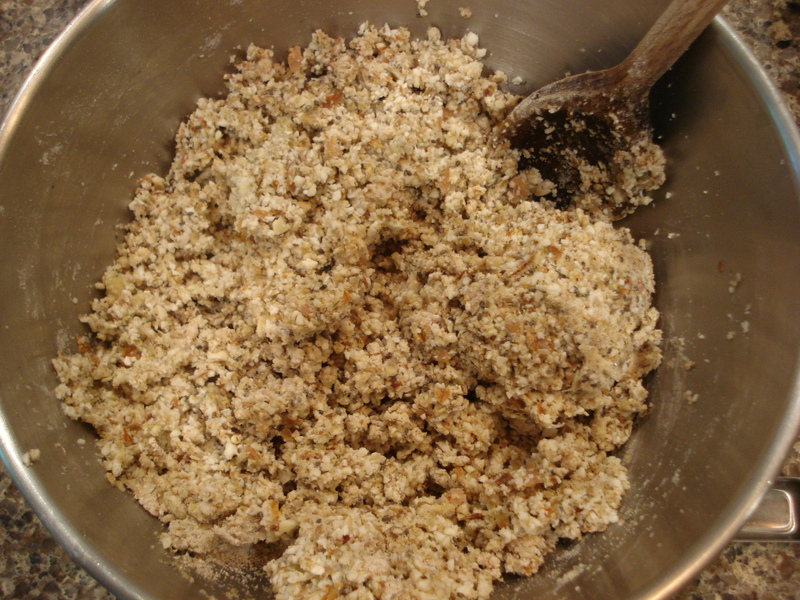 It should stick together fairly well–if the dough is crumbly, add more water. 3. 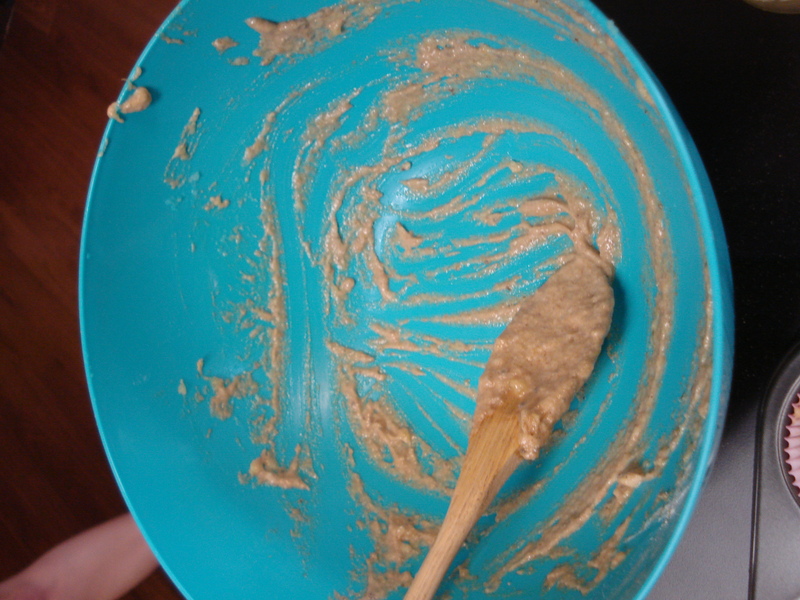 Spoon the dough onto parchment paper, spread evenly by patting it with your hands. You will have to use two sheets. 5. 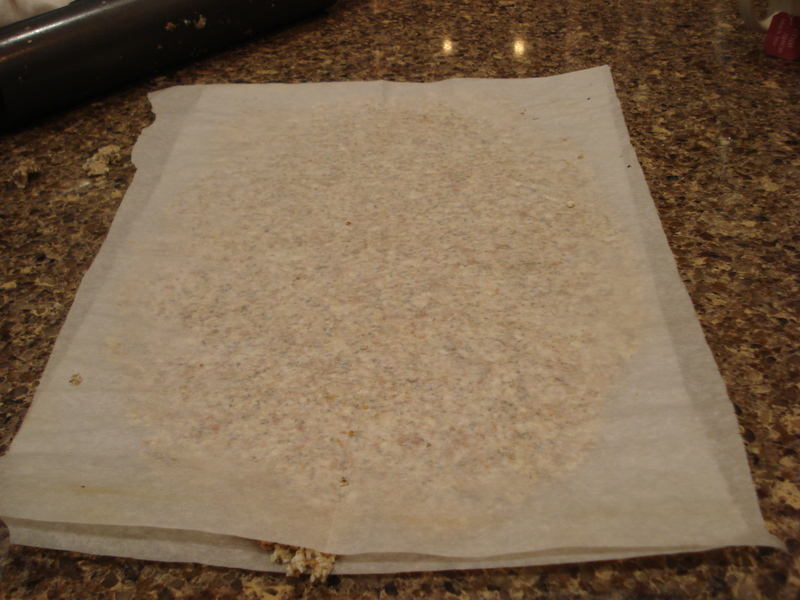 Place parchment paper on top of the dough and roll it very thinly with a rolling pin. 6. 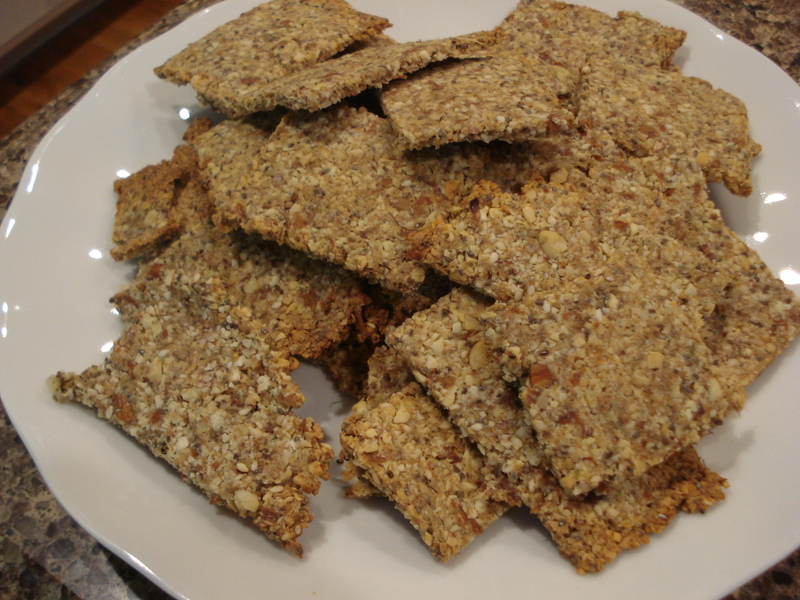 Take off the upper level of parchment paper and, using a sharp knife, cut out your crackers. 7. 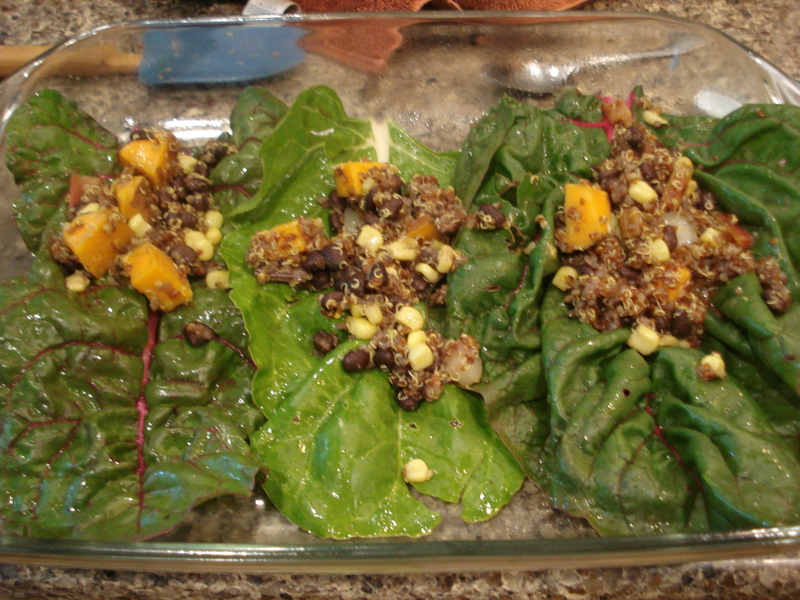 Transfer to a baking sheet and bake at 325 for forty minutes. 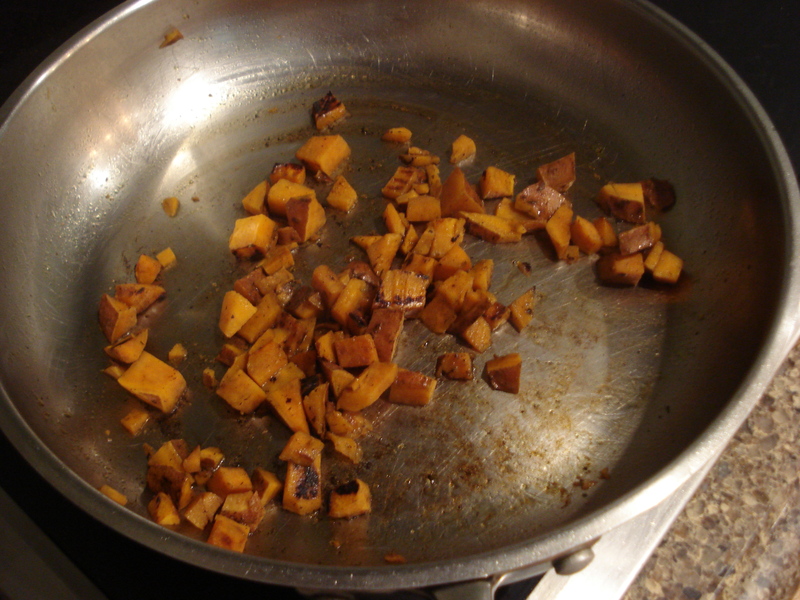 After forty minutes, I took the outer ones off that were browned already and let them cook for five more minutes. What is your favorite use for dill? 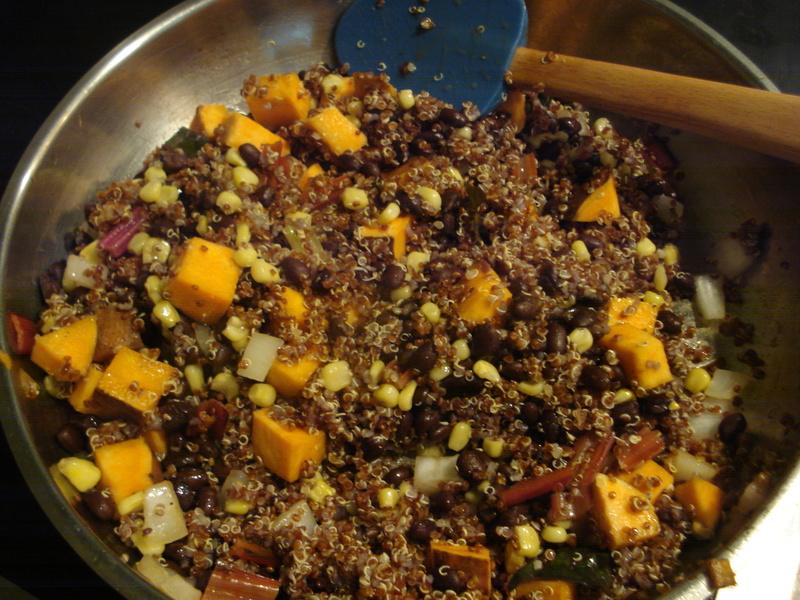 This post is shared on: Monday Mania, Scratch Cookin’ Tuesday, and Fight Back Friday. Since I’ve been interning on the farm and going to the farmer’s market every weekend, I think I’ve been to a grocery store . . . once? Maybe twice? I love cooking up all the goodies I bring home from work, and I desperately want to avoid the supermarket as long as I can. I ran out of almond milk last week, and my recent reticence to run to Publix (and the ingredients in my pantry) prompted this lovely, non-dairy milk. 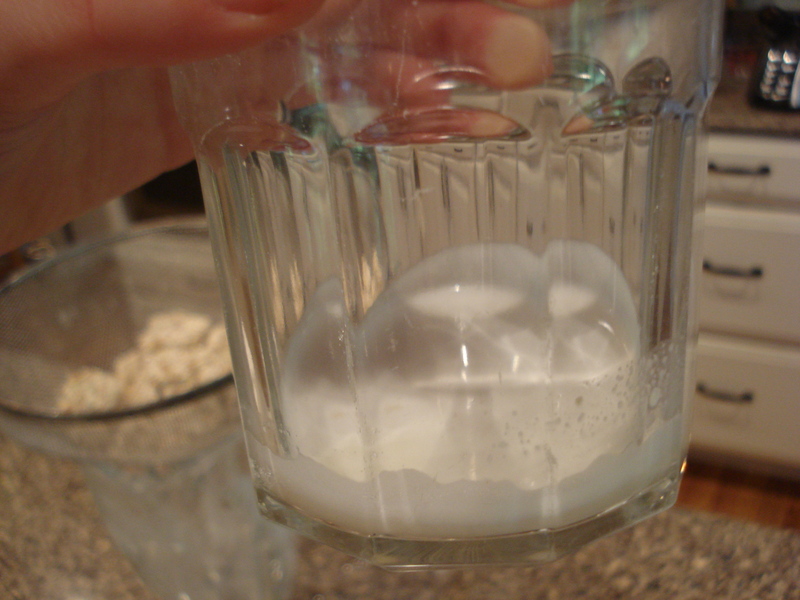 I’ve made almond milk in the past, but don’t do it often because it’s cheaper (and easier) for me to simply buy it. 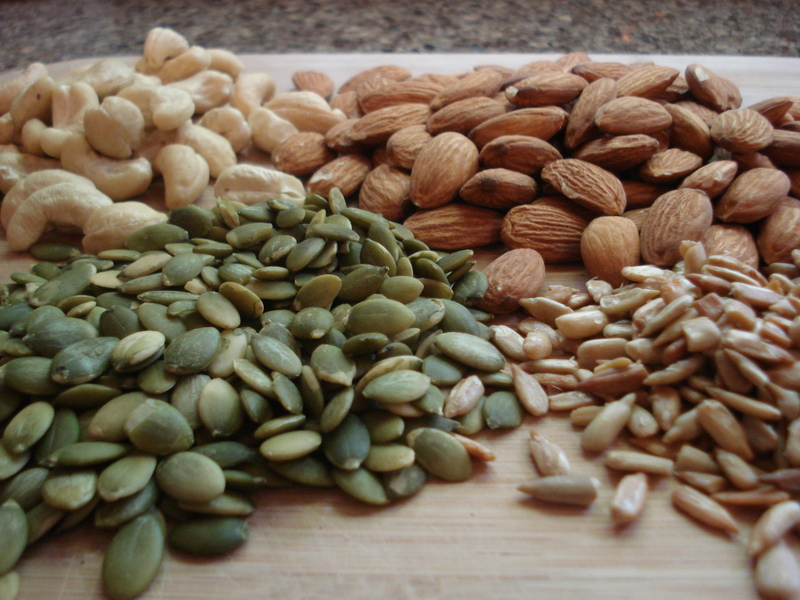 I wondered though if I could get the same results with some of the other nuts and seeds in my pantry! 2. 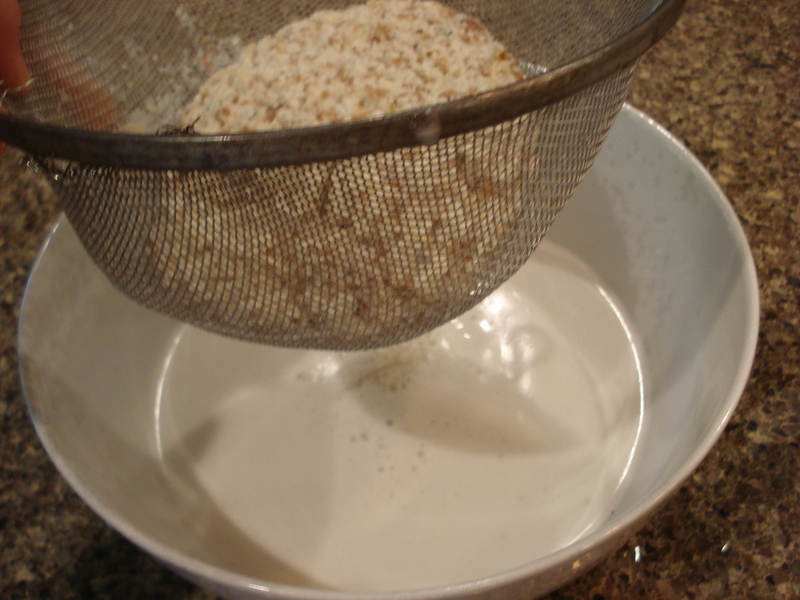 Place a towel over the bowl and soak overnight. 3. 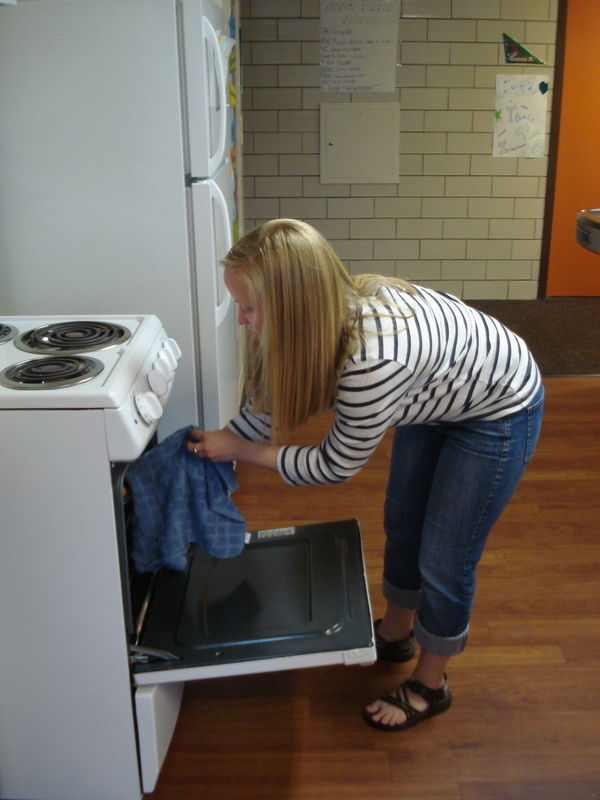 The next day, drain off the water and rinse thoroughly. 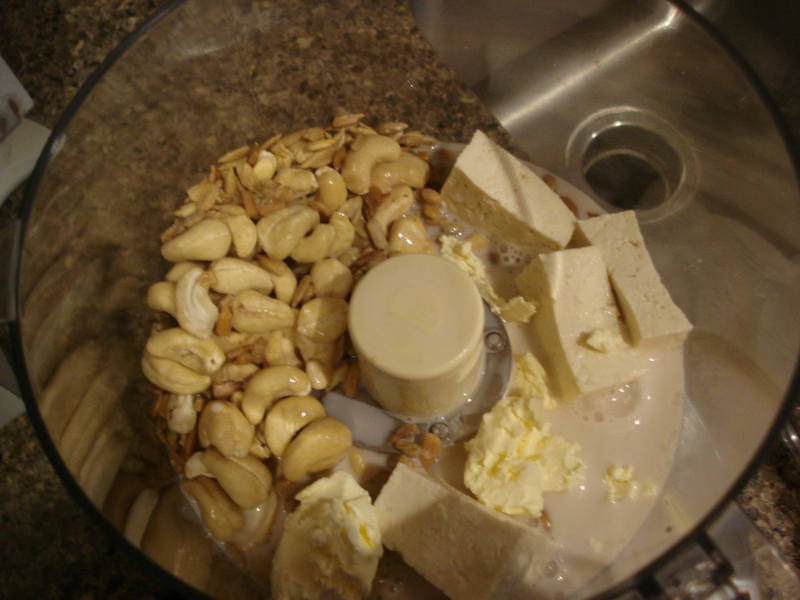 The cashews looked a bit discolored, so make sure to rinse well. 4. 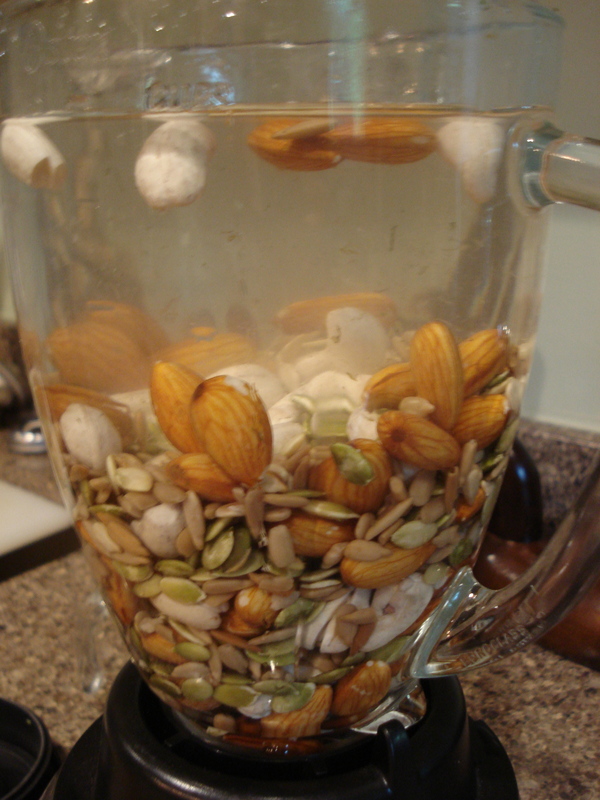 Blend the nuts and water together. 5. 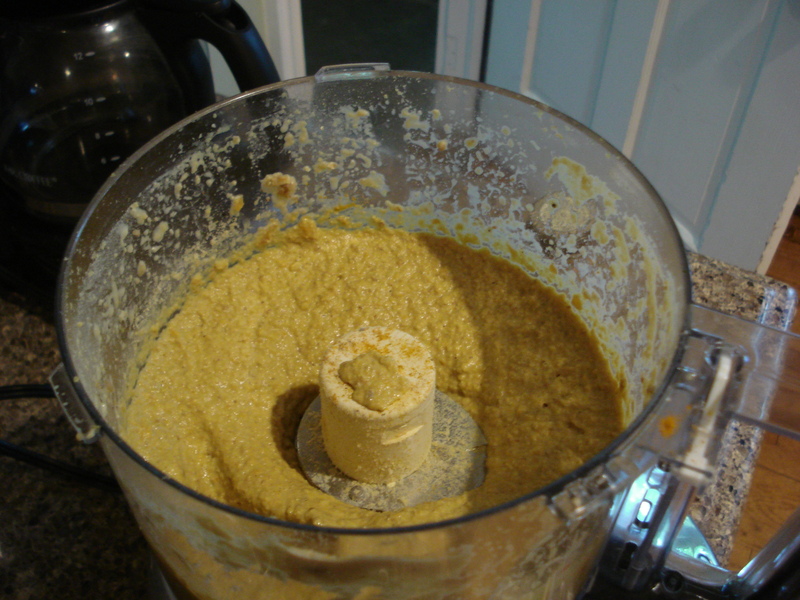 Add the honey and sea salt, continue blending. 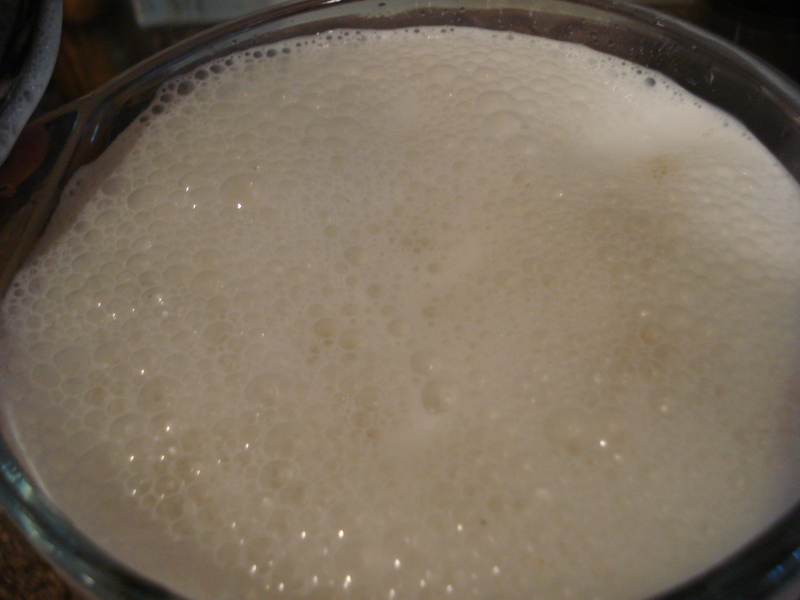 Don’t be alarmed if it starts to froth out a bit! 6. Strain with a fine wire mesh strainer. If you want to ensure there is no pulp, strain with a cheese cloth. 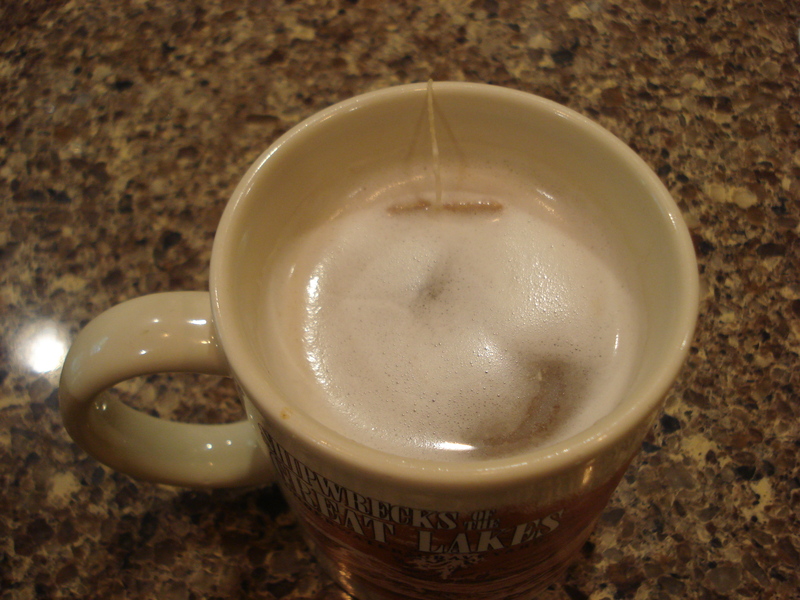 And then I added some to my chai tea! It definitely has an interesting taste I wasn’t expected–you can pick out notes of cashew and pumpkin which I really like! 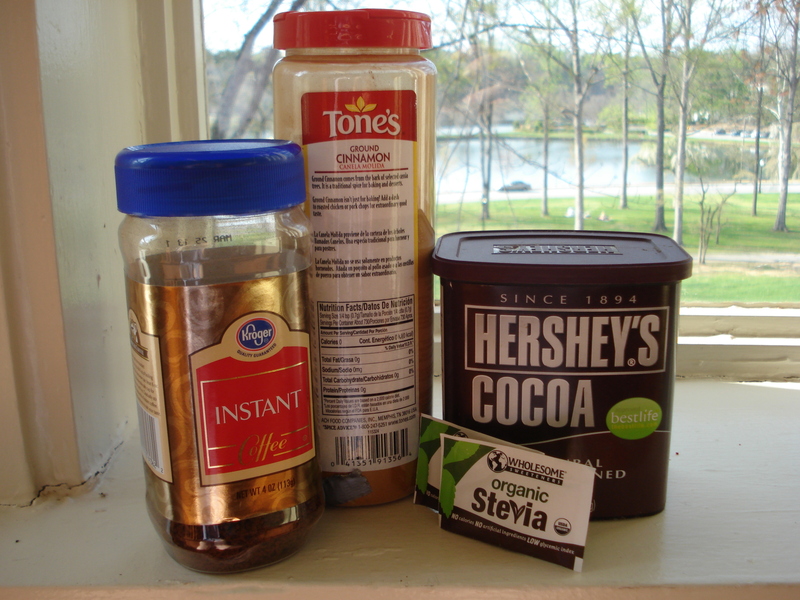 Next time, I may have to do a chocolate milk and add cocoa powder, some stevia, and some cinnamon. 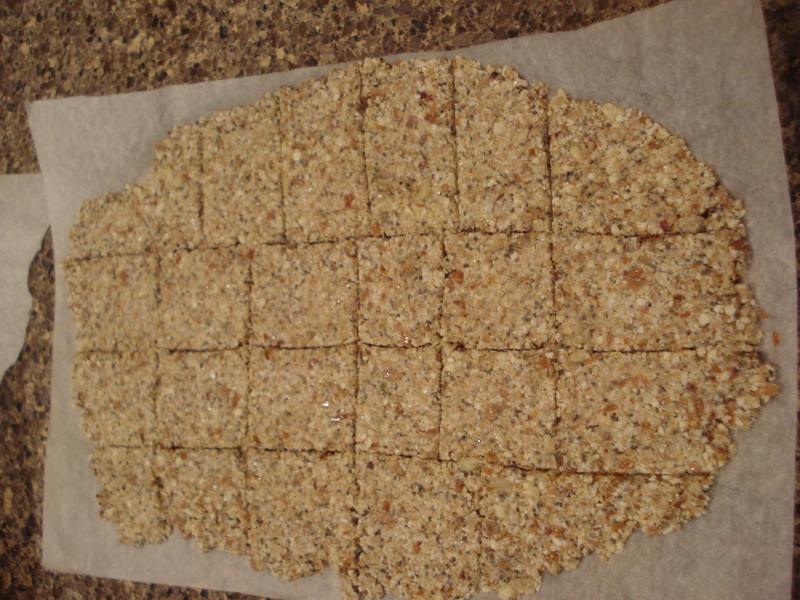 Check back tomorrow to see what I made with the nut/seed pulp . . . I think I may like that even better than the milk! 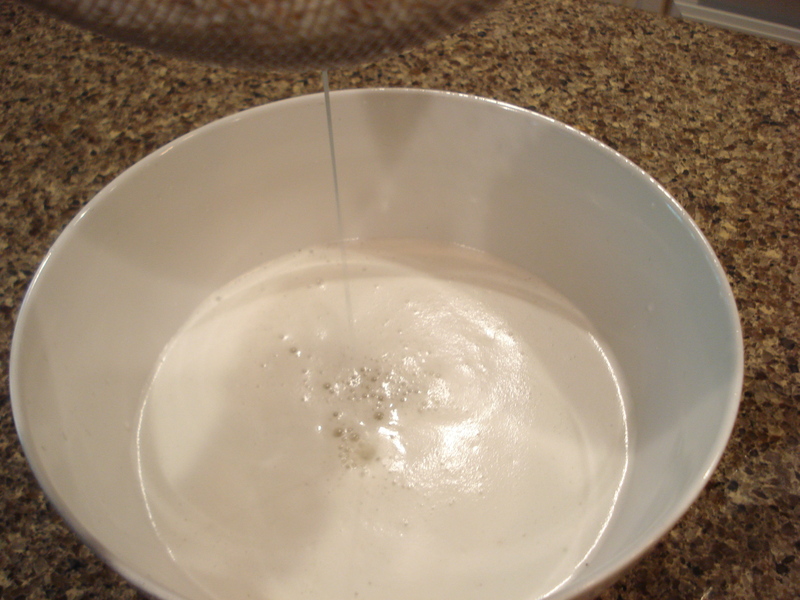 Do you make your own “milk” or other items most people purchase in the store (bread, yogurt, cheese) ? This post is shared on Fight Back Friday at Food Renegade and the Homestead Barn Hop at The Prairie Homestead! Have I got a yummy treat for you this morning! Remember how I said that I‘d be doing a lot more creating in the kitchen since I’m living in the Vista House? Well, having access to a fully equipped kitchen + a lot of people to eat whatever yummy creation I make is definitely already prompting me to cook a lot more! 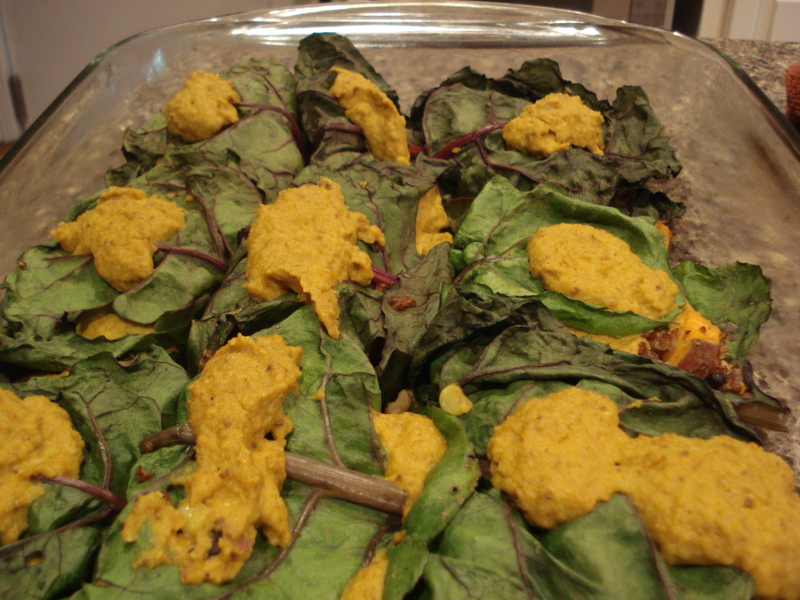 This recipe is adapted from the lovely Angela at Oh She Glows. I constantly drew upon Angela’s story and wisdom for hope within my own healing process. Her’s was the first blog that I ever ‘followed,’ and I still have it bookmarked and check it daily! 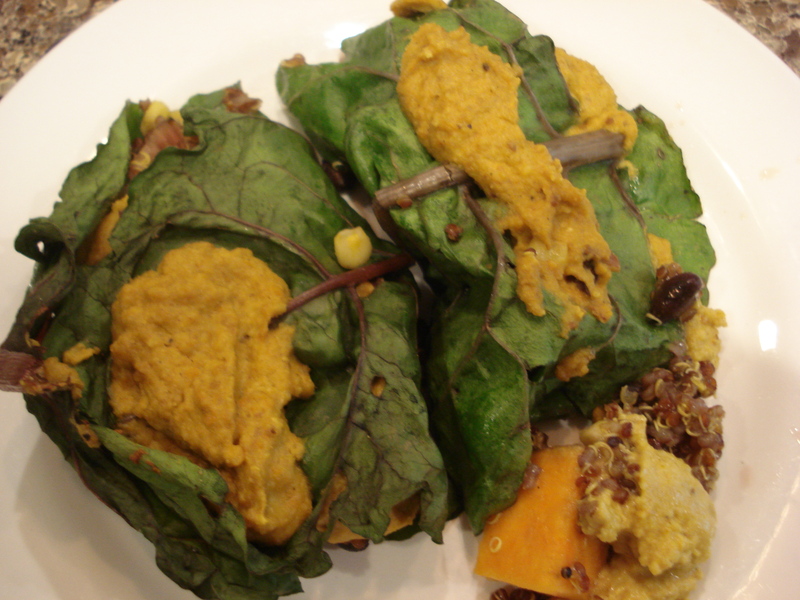 Her food is inspired, delicious, and super feel-good healthy. I enjoyed some of these tasty little guys this morning with breakfast this morning! 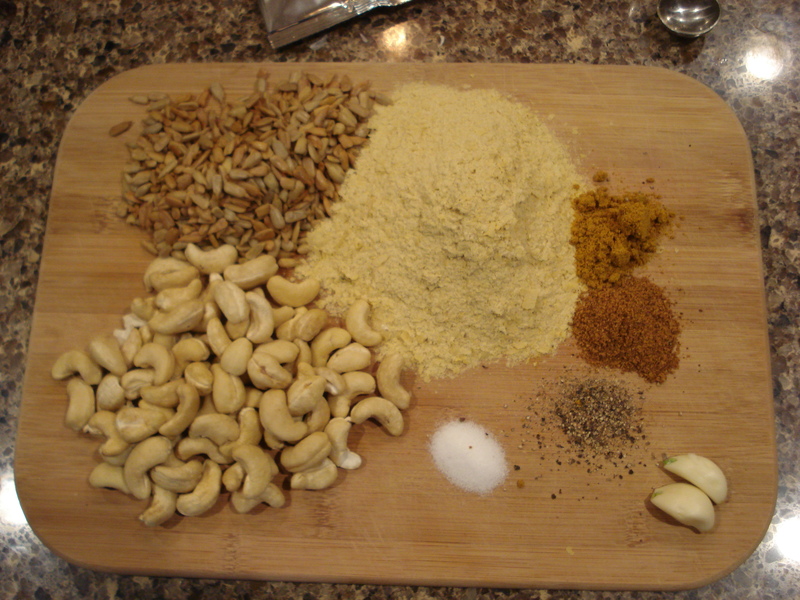 Process the cashews in a food processor until crumbly. 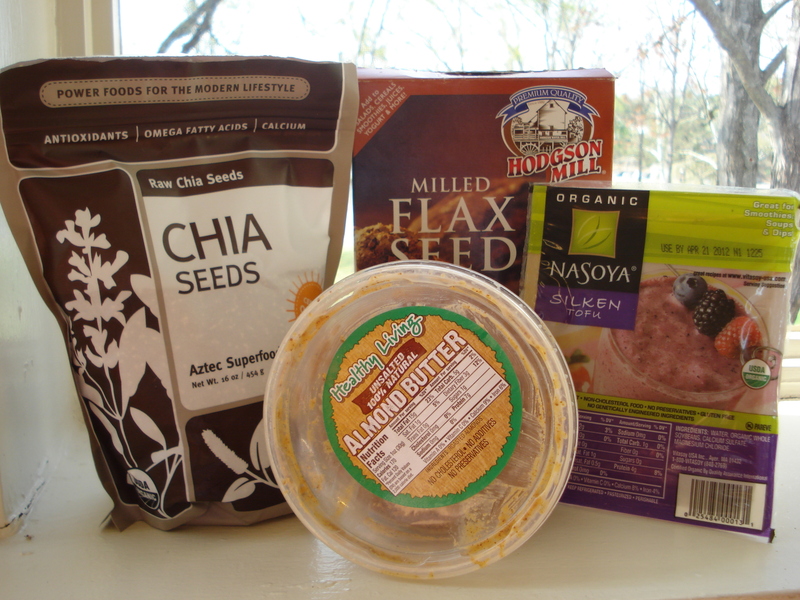 Don’t leave them in too long–we don’t want cashew butter! 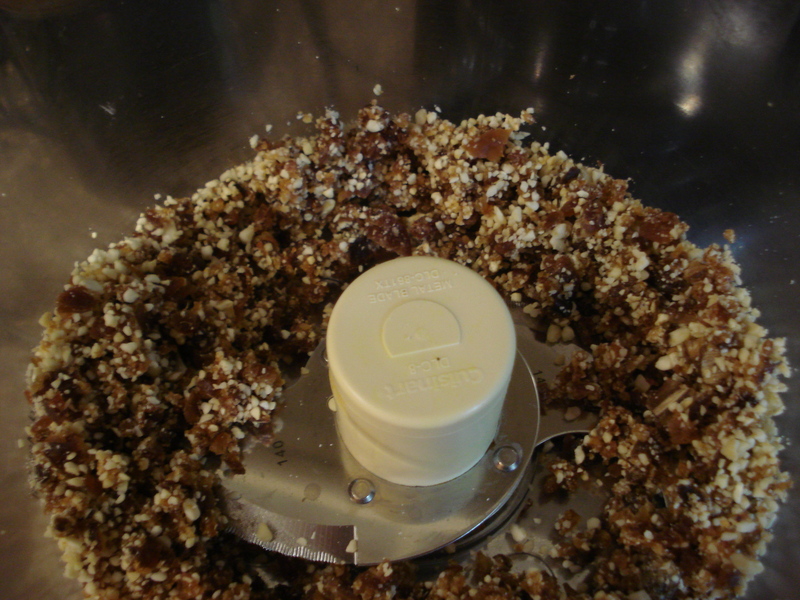 Add the pitted dates and prunes. 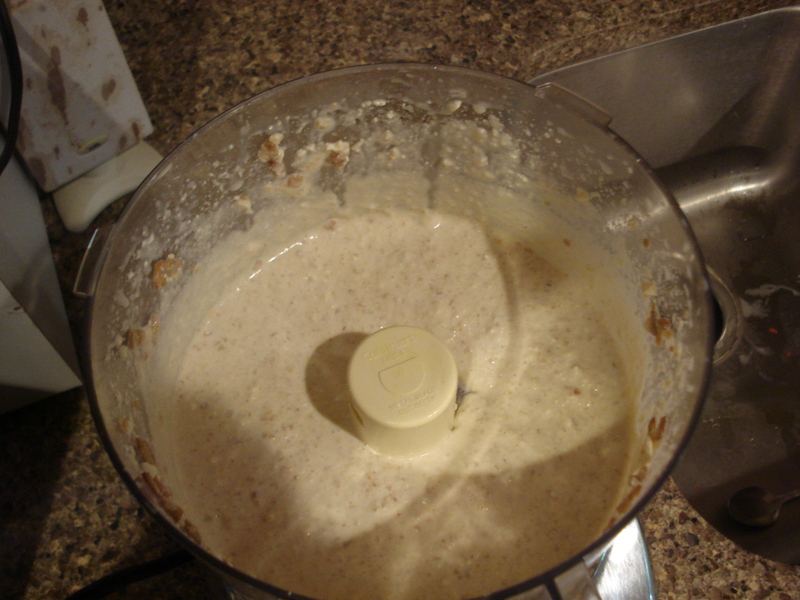 Process until combined and sticky. 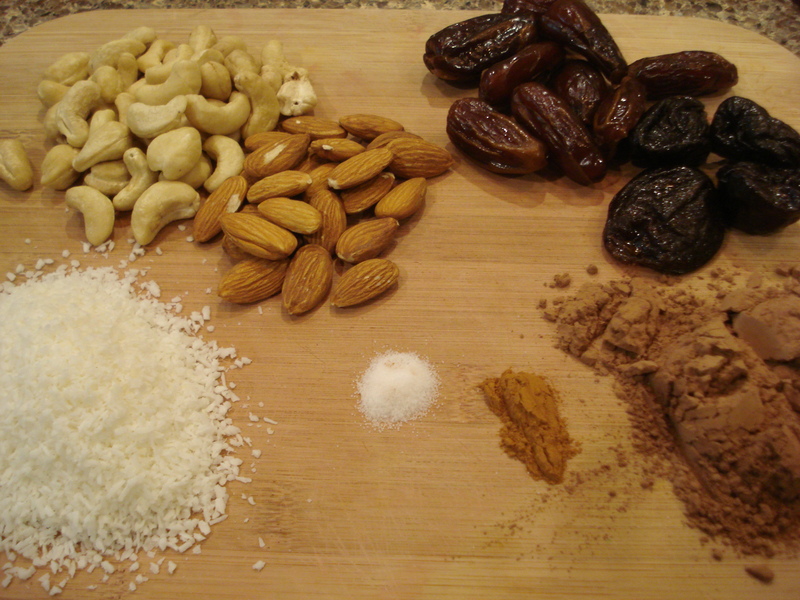 Add in the rest of the ingredients, minus the almonds, and process until all the ingredients come together. 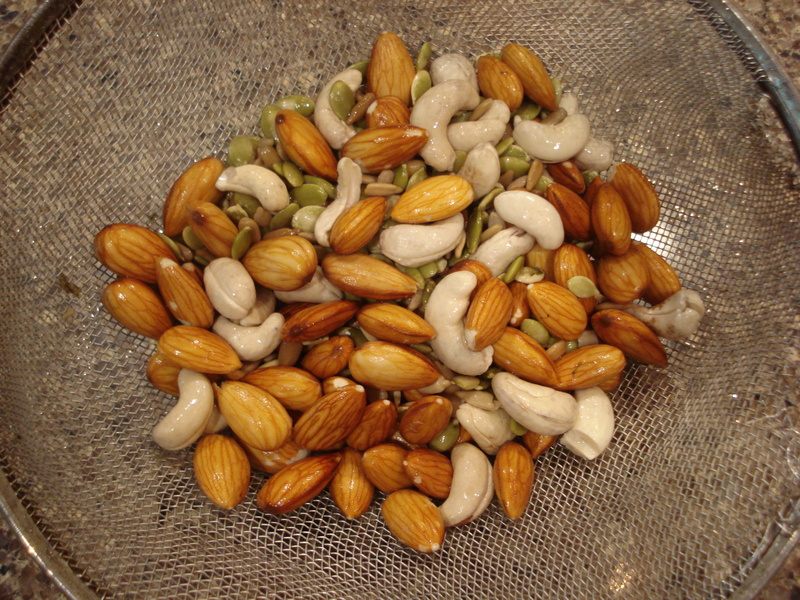 Pulse in the almonds to your level of desired nut-texture. 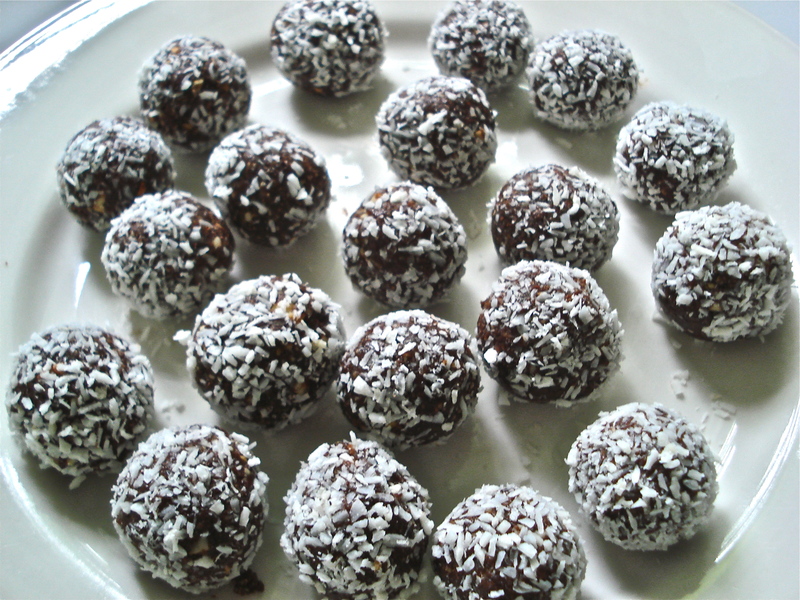 Form into balls and roll in coconut. Store in freezer or fridge. 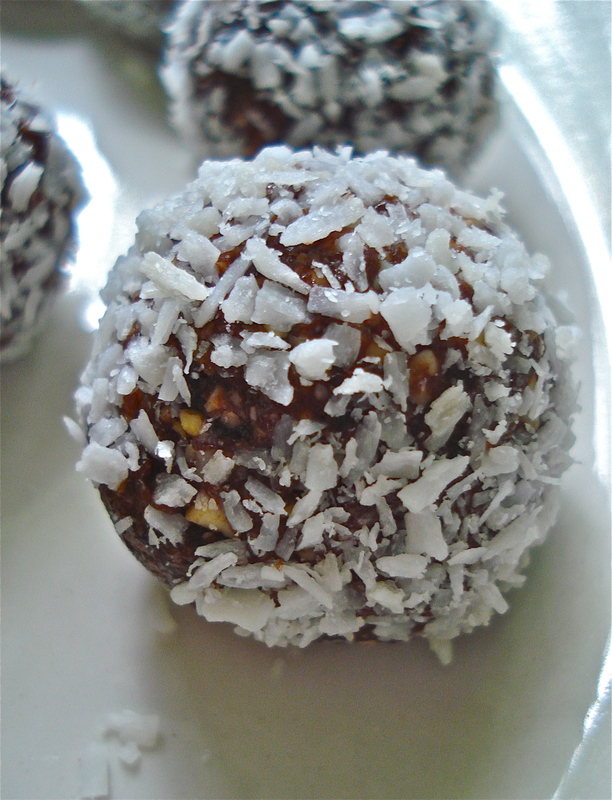 Do you like coconut? 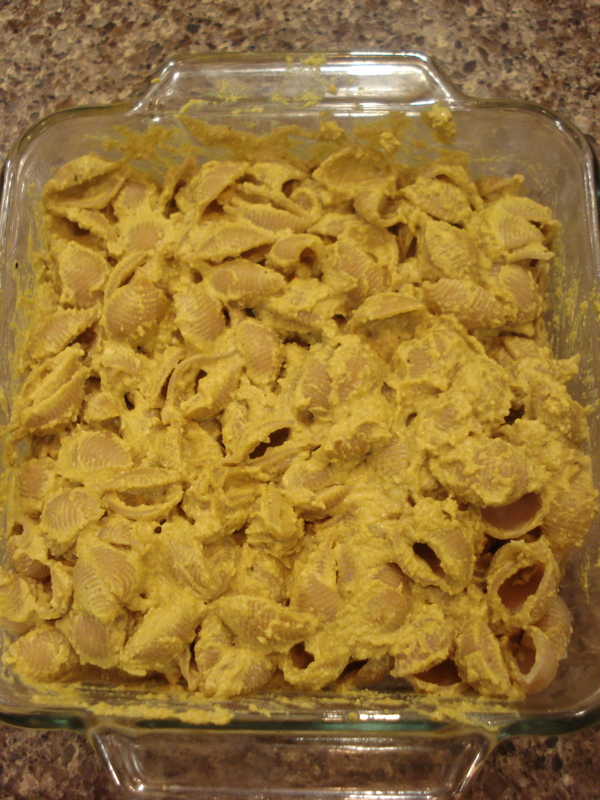 What is your favorite recipe that uses it? 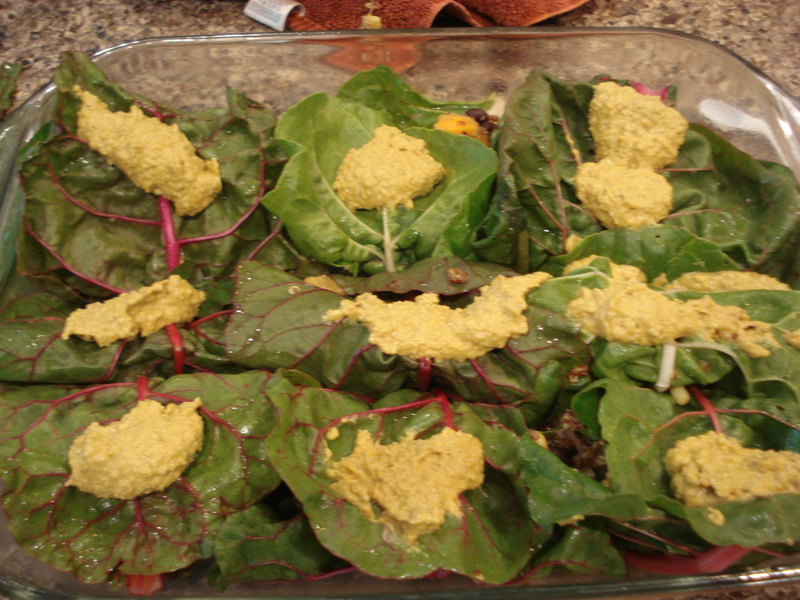 This recipe is shared on Fat Tuesday over at Real Food Forager. 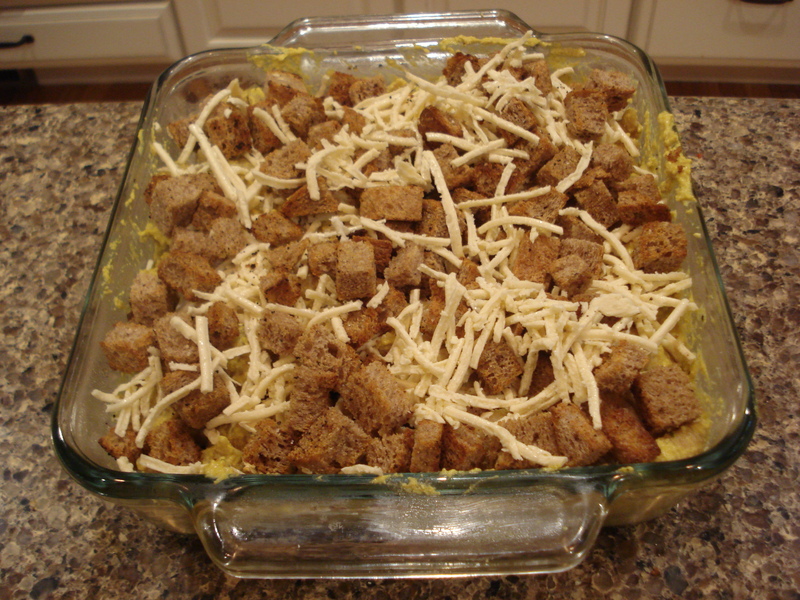 A few days ago a friend invited me to have dinner with her and bake banana bread…I have such wonderful friends! God has blessed me with some very wise and wonderful women in my life, and these two ladies that I ate with and baked with are definitely in that category. 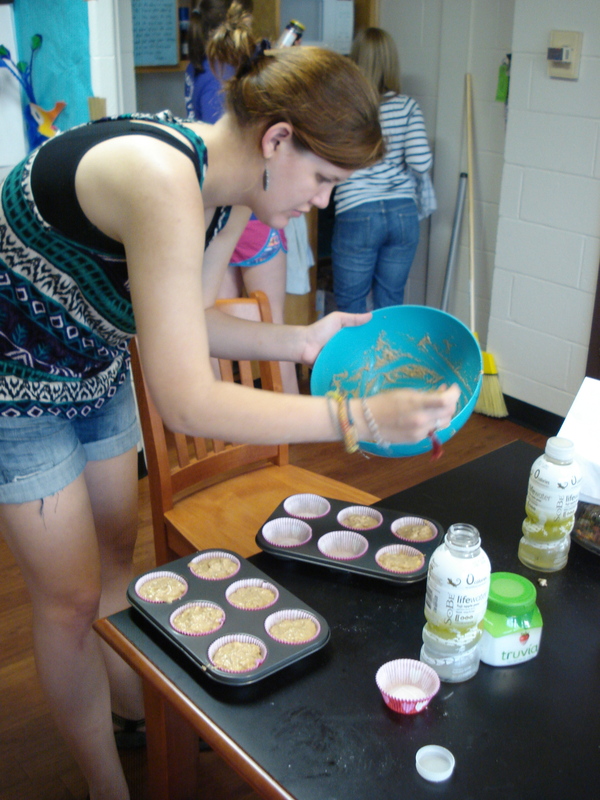 We started talking about the problem of labeling and choosing to follow a vegan diet. One of the other girls is also a vegan, and one is vegetarian. 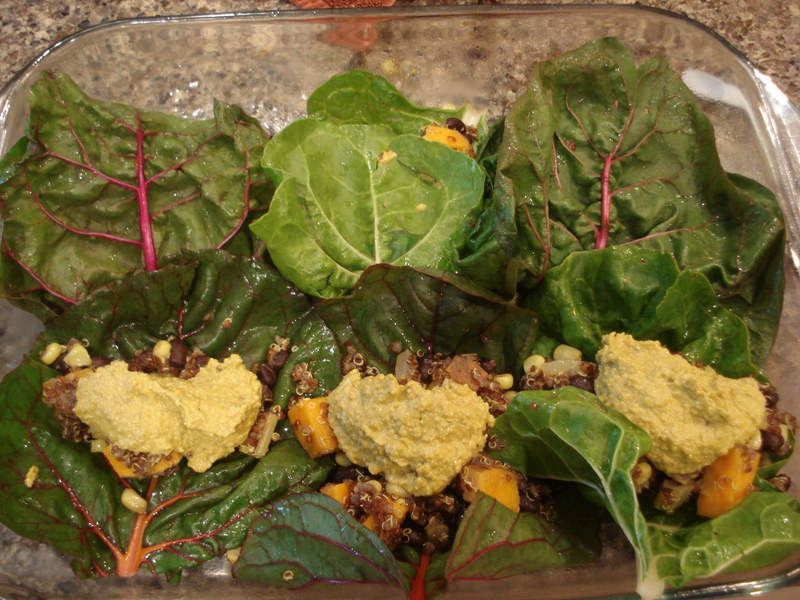 These past two weeks I have really been struggling with my vegan lifestyle, which is another topic for another time. This conversation came around to the inner battle we face with comparison. I know I constantly compare myself to other women, wondering why my thighs aren’t as thin and toned, why I’m not as petite or dainty, why my hair isn’t as shiny and healthy, why my skin isn’t as clear and smooth . . . I could continue, on and on, which is really sad. I am perfectly unique and perfectly created, with a healthy and strong body that can do just about anything I ask of it. God really works creatively. Before this conversation, I had spent a few hours on my computer looking up blog posts about body image and how to achieve a healthy one. I found this list, and one thing that continues to resonate with me is this quote: I choose to stop comparing myself to other women, including the woman I was in the past. That for me is huge. Obviously I have gained weight since I stopped restricting and over-exercising, which is a healthy change. Sometimes, it is hard for me to see that–I look at pictures of myself when I was smaller, and look at my bit of extra cushion now and feel wistful. But this is the other important thing about that quote: I have to make a choice to stop comparing myself. It won’t just happen that one day I stop comparing myself, it is a choice. Now, every time I’m tempted to compare myself, I use that as a reminder to redirect and repeat to myself that I am beautiful. I’m going to keep saying it until I believe it. When I was really in the midst of my eating disorder, I had pushed away God completely. I knew that if I let God in, I wouldn’t be able to treat myself the way I was. If our “ideal body” is unhealthy and we still try to attain that, our emotional, mental, and spiritual selves will suffer. One of us asked, “do I want a relationship with God, or do I want thin thighs?” If you spiritually identify differently, the question could be posed “do I want to respect myself and live abundantly, or do I want thin thighs?” When put like that, the choice seems really simple, but it’s still hard. It’s still a daily, an hourly, choice. 1. 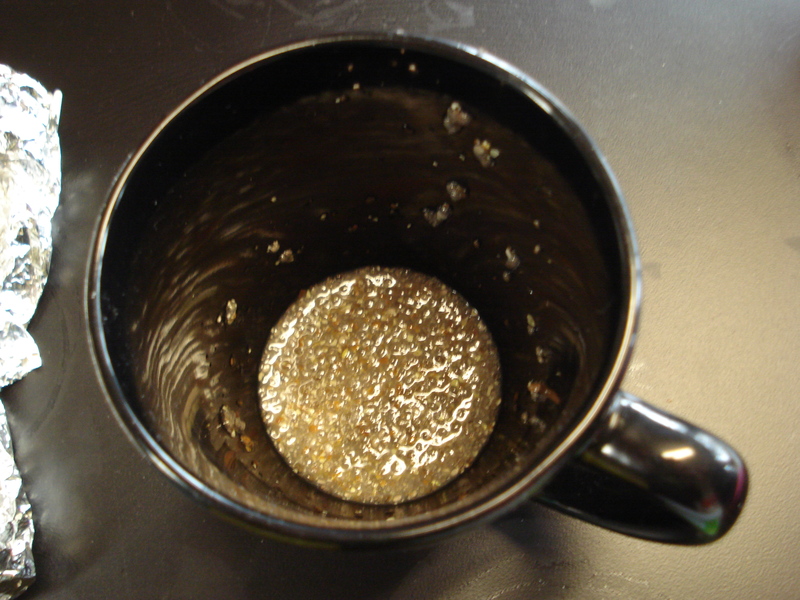 Make “egg” by mixing water and seeds. You want to do this first so it has time to get a little gelatinous! 3. 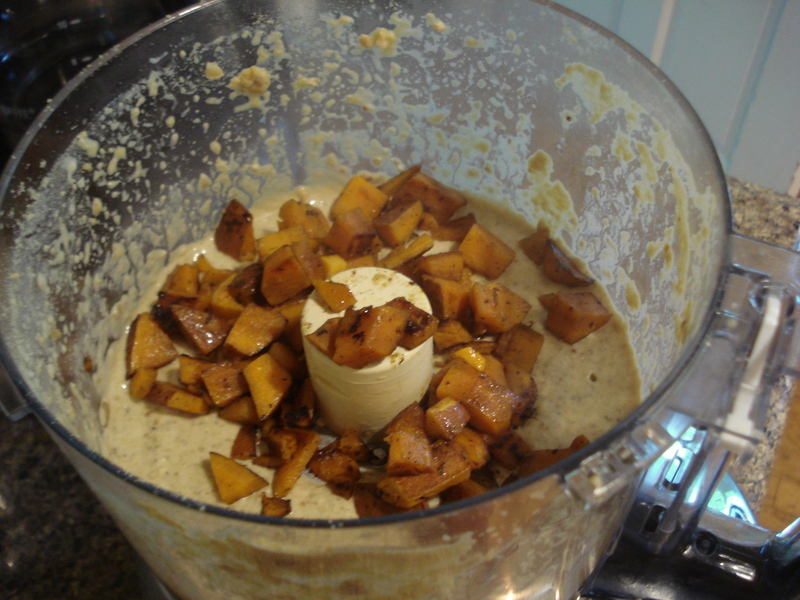 Mix together mashed bananas+sweeteners. 4. 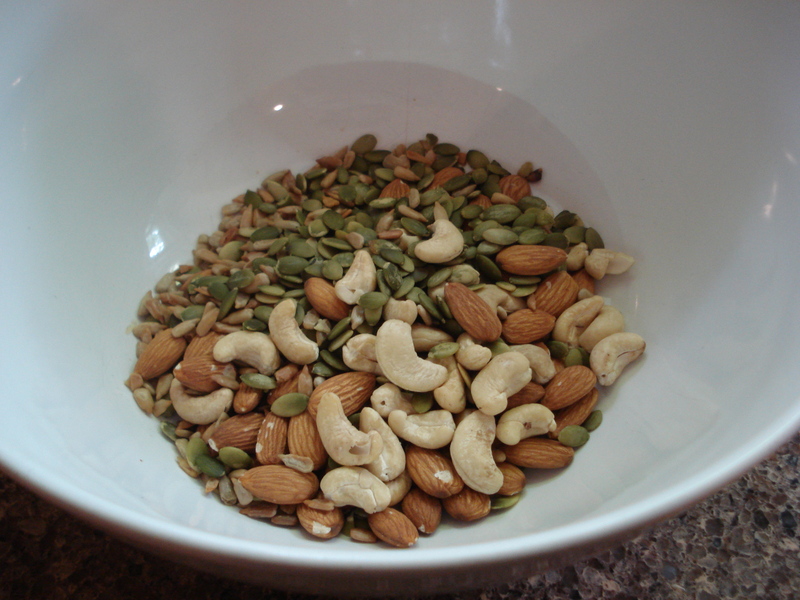 In separate bowl, mix together dry ingredients. 5. 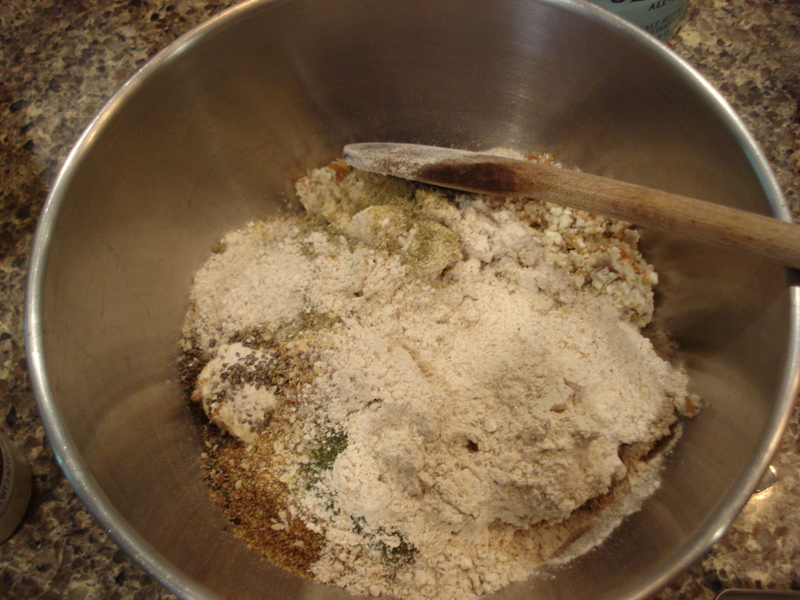 Slowly add dry ingredients to wet ingredients + mix. 6. 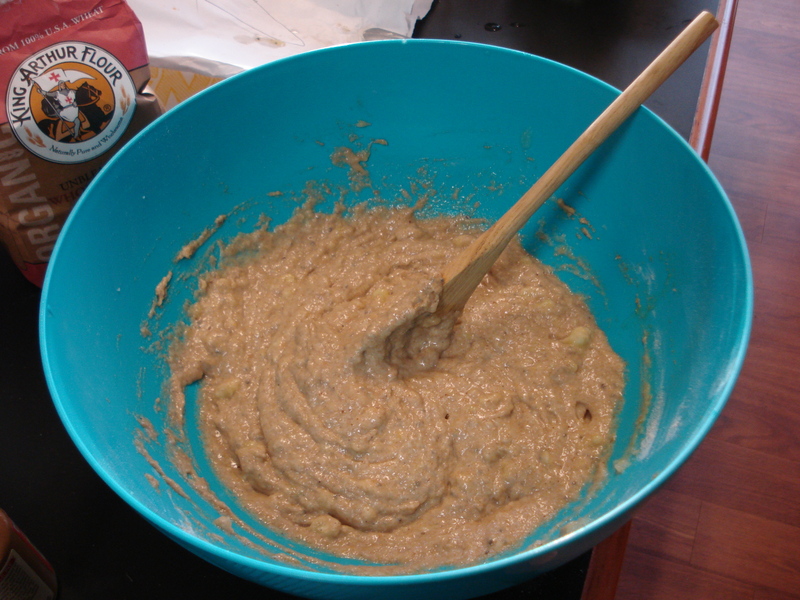 Melt earth balance, add applesauce and vanilla+ stir into mixture. 7. 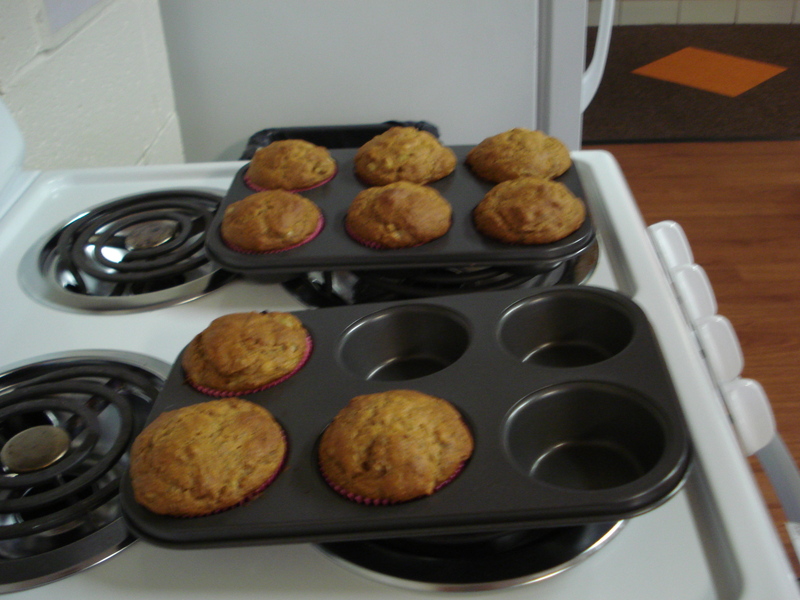 Pour into muffin cups and bake for 20 minutes. I am already getting such good use out of the blender my parents brought me this past weekend! It’s only Tuesday, and I’ve used it twice. The possibilities are truly endless! This little guy is born out of my love for chocolate, smoothies, and snacking. These past few weeks a vegan diet has been particularly challenging for me, especially around desserts and goodies other people were eating. 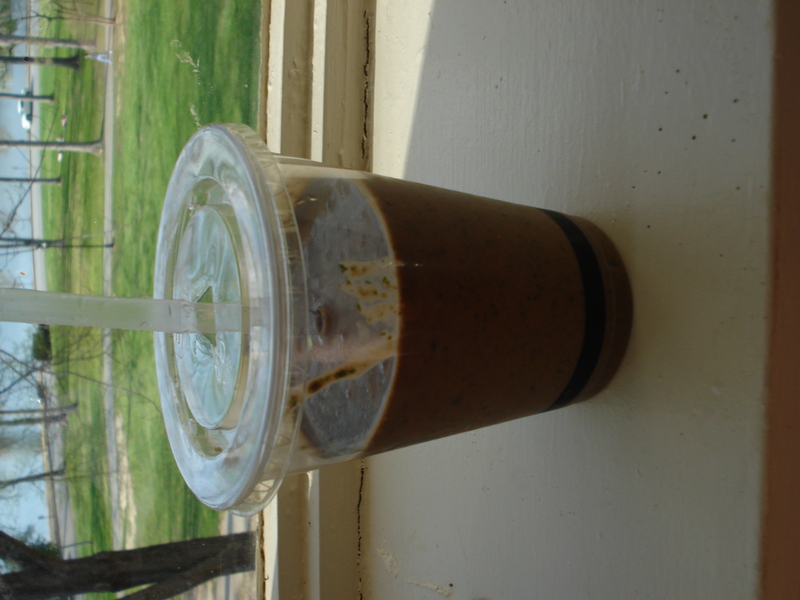 My family was in this past weekend, and I was at Spill The Beans (a local coffee/ice cream shop) not once but TWICE and definitely tempted by the delicious frozen treats everyone was enjoying. Super versatile and easily modified, these pops can be made out of a variety of combinations and altered easily for taste. (I’m thinking of some strawberry-chocolate and mint chocolate espresso chip flavors in the future!) Keep in mind, many of these measurements are approximate. I tend to shy away from following exact recipes when I cook, preferring to add “a little bit of this” and “a little bit of that.” Rest assured, however, that these can’t be messed up! Spices! Coca powder has antioxidants and fiber, cinnamon helps insulin production, and stevia is a natural sweetener. I don't have a lot of experience with silken tofu (I usually use extra-firm for cooking) but this worked wonderfully! 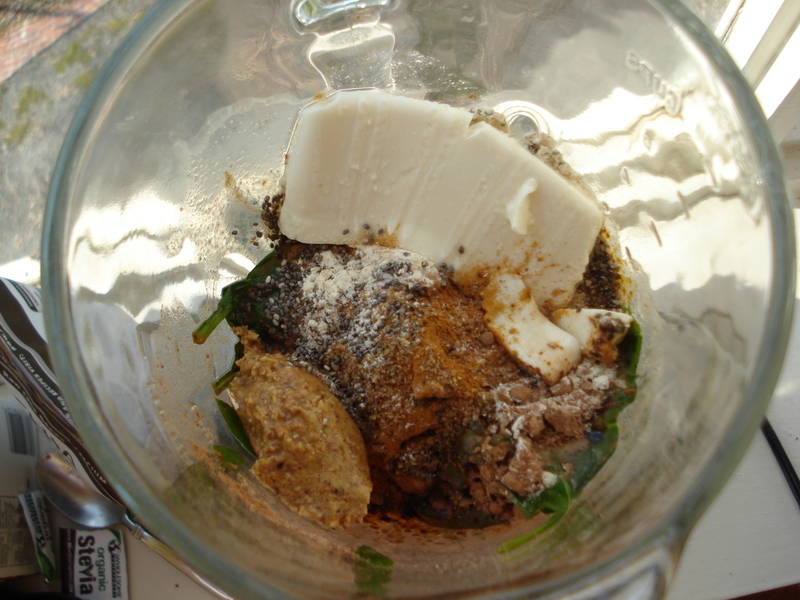 Blend ingredients together. Pour into popsicle maker and freeze. If you are using the amco express popsicle maker as I was (which I do not recommend), freeze the base 24 hours first and then pour the liquid in and pop it into the freezer for another 20 minutes or so. 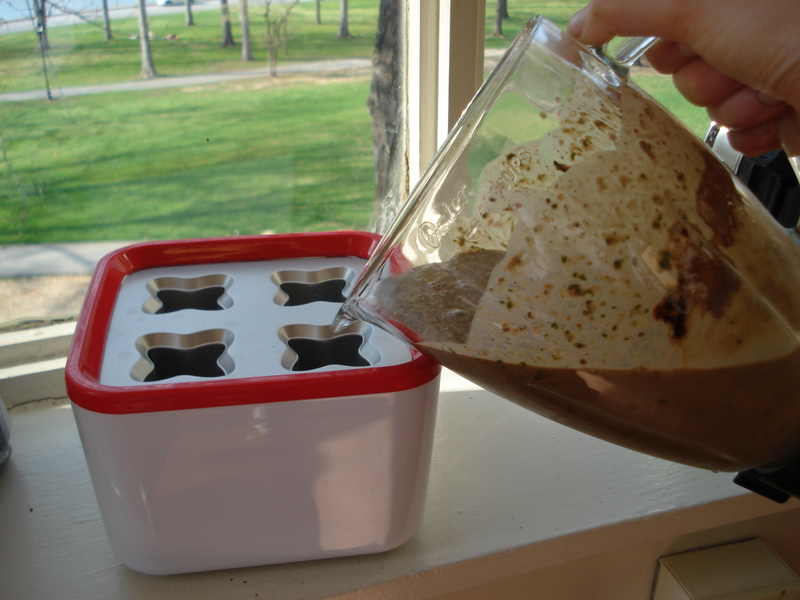 My parents just brought me the blender and the popsicle maker, and I didn’t know how to use it–I just froze it with the liquid. The pops refused to budge, so I had to let them warm up a bit in the fridge before they slid out. 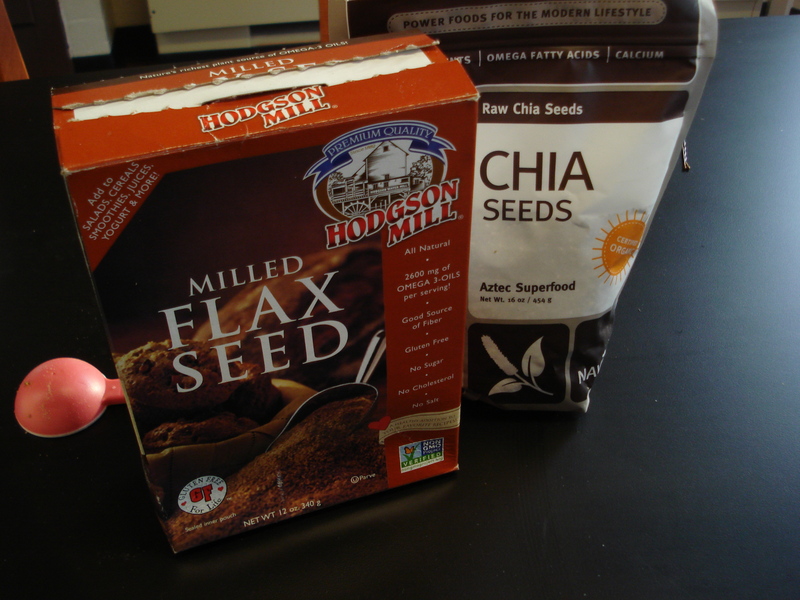 You can omit the spinach, protein powder, and flax and chia seeds without consequence! I like them because of the added nutritional boost. Spinach is full of vitamins, fiber, and phytochemicals; flaxseed has healthy omega 3s and fiber, and chia seeds are full of protein, omega 3s, and several vitamins and minerals! Super foods for the win. 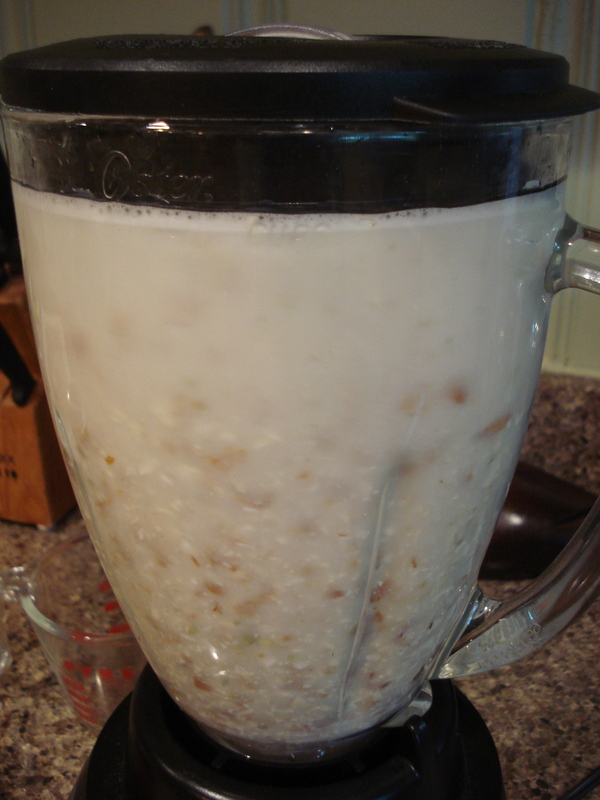 Even had some left over for a smoothie, which made a delightful afternoon snack! I didn’t include a picture of the fudge pops themselves, because as you can imagine they are a long, dark brown log shape. 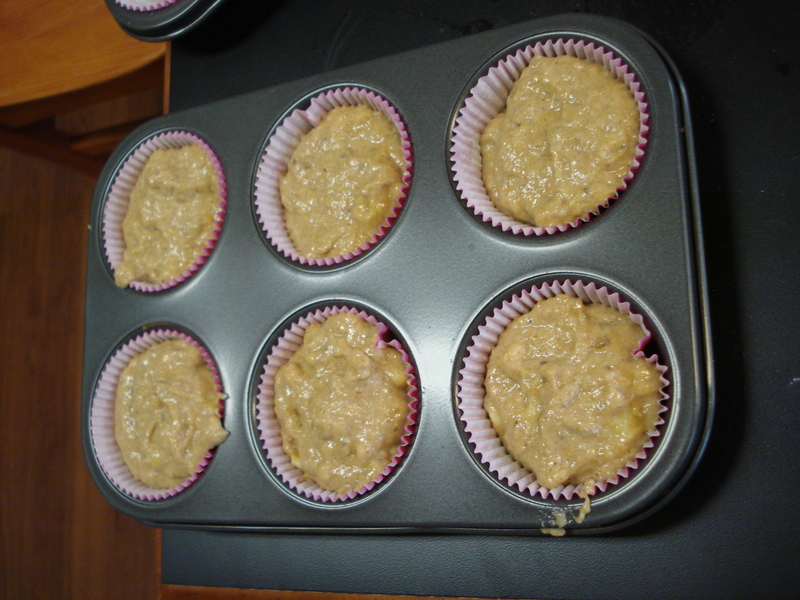 Though they are delicious, they resemble…something unpleasant!